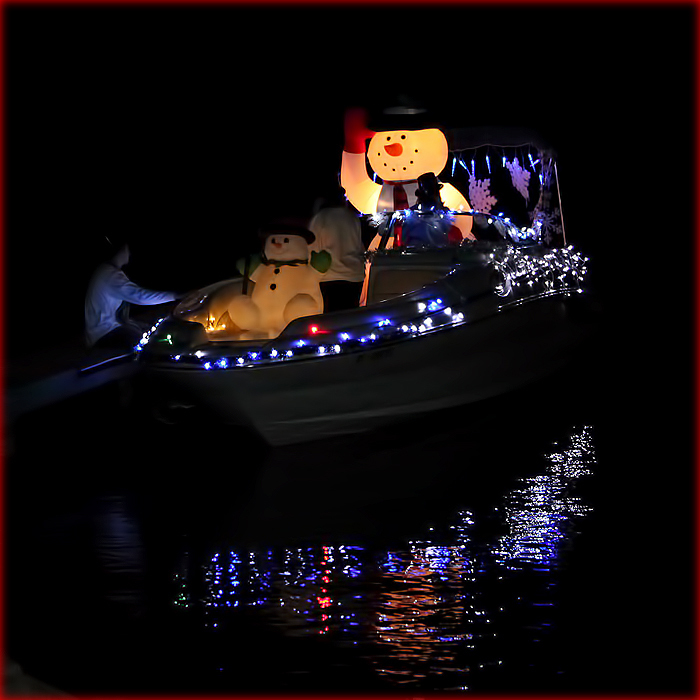 Imagine neighborhood Christmas-decorated front yards and roofs, put them on a boat, and then drive them in a bobbing convoy under a pitch-black sky on a mile-wide lake. 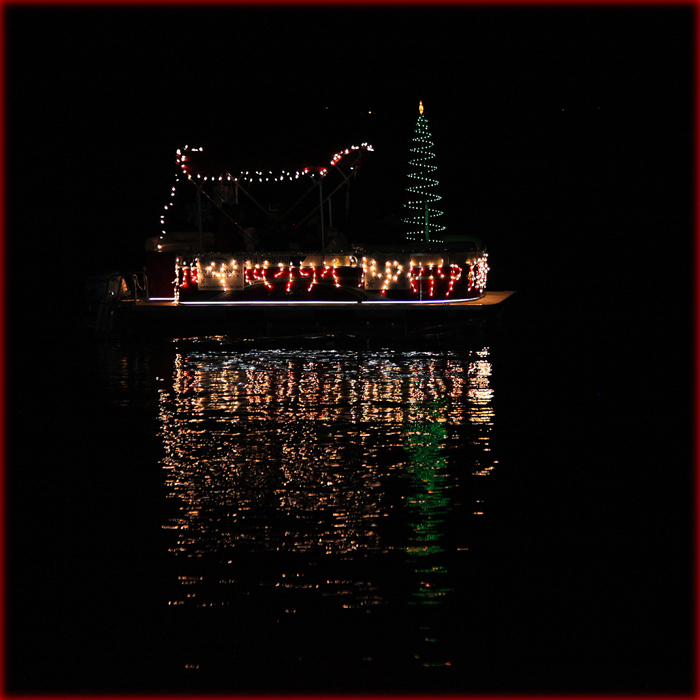 That’s the Lake Gaston Boat Parade, hosted by Morningstar Marinas and the Lake Gaston Chamber of Commerce. 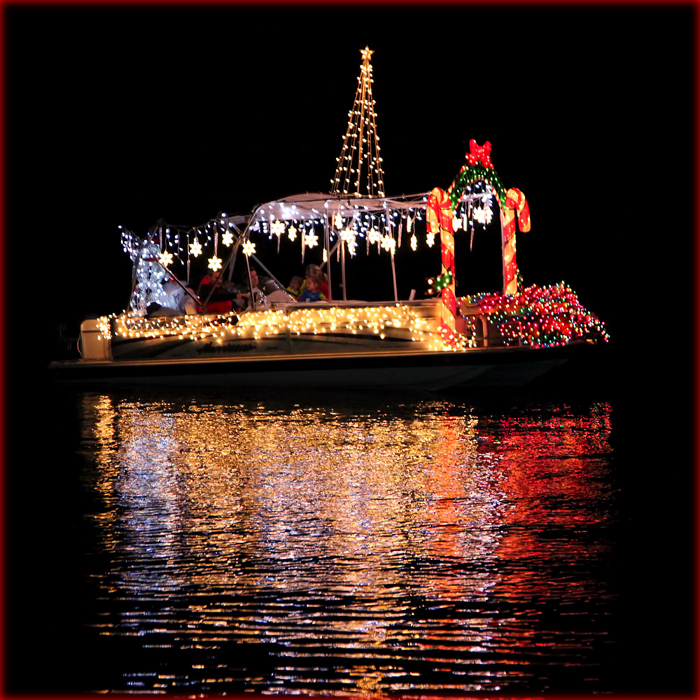 This time every year, Lake Gaston boat owners deck out their boats in twinkling, 12-volt Christmas lights, transforming their watercraft into intricate, Macy’s Day float-like sets that artistically come alive after dark: a yuletide 3-D light-show smorgasbord. Hats off to everyone who participated. If you missed this one, you don’t want to miss the next one. I’ve tried to accurately present what happened on that chilly, November evening, but it is possible — quite probable in fact — that I may have left out something important. 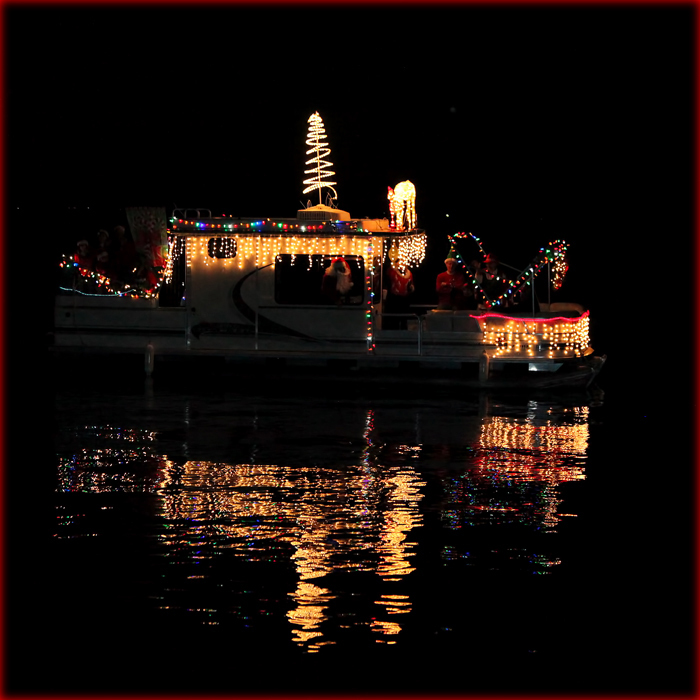 This year, I was invited to participate as one of three judges for the 2010 Boat Parade event. The other judges were Al Hartley and Marcia Kerr, local real estate agent. I was busy, on and off, doing a slew of errands that evening, including documenting the event with photographs. So, if I screw up and get something wrong, it’s not intentional. 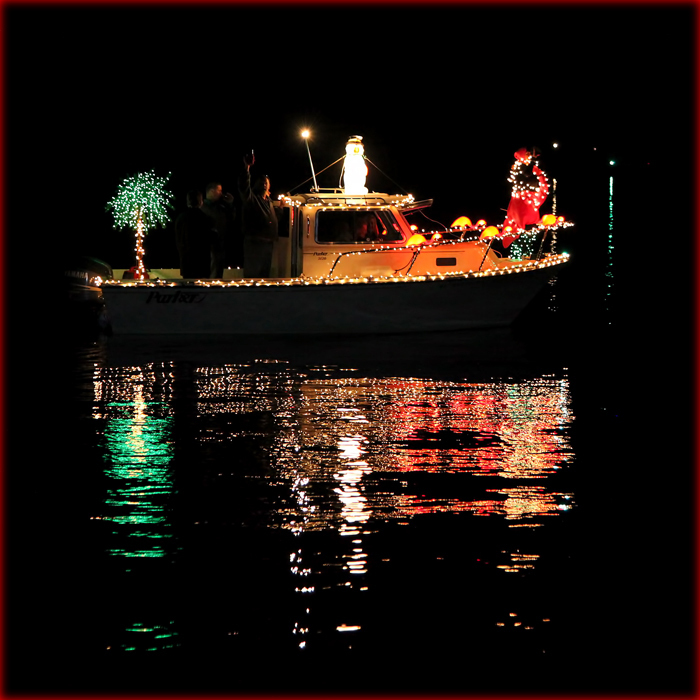 Twelve Christmas Floats were registered: shortly after sunset they glided past the Judge’s Table one by one, beginning with Boat #1. It was pitch dark. All three judges took notes underneath a circle of flashlights. I held mine in my mouth. Then I would dash out and take several pictures of each boat, and back again to the Judge’s Table to scribble additional notes on my piece of judging paper. 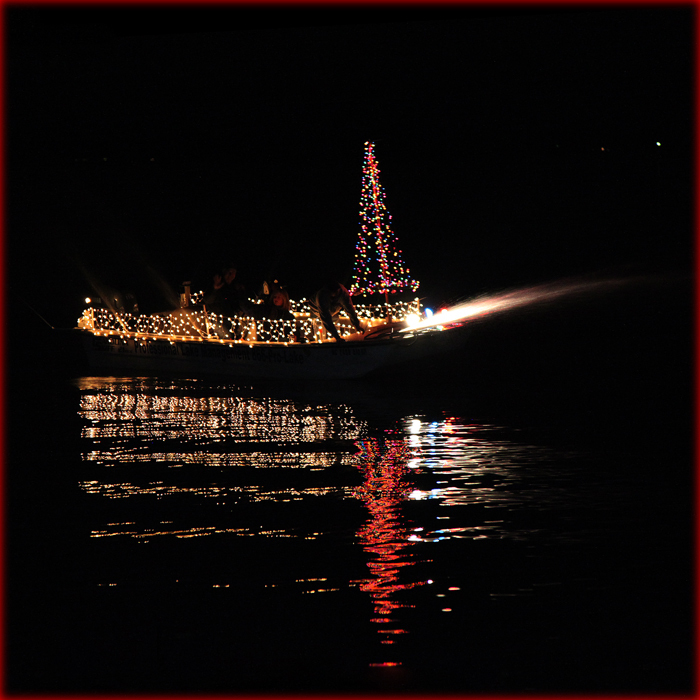 After filing past for review, the Boat Parade cruised slowly alongside the Eaton Ferry Bridge, where crowds gathered on the bridge and shorelines to watch the dazzling light art exhibition. 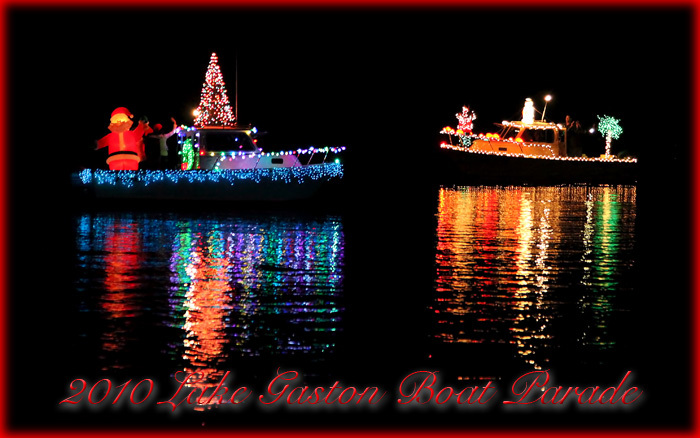 When the 2010 Lake Gaston Boat Parade was over, much to my surprise, I had managed to take pictures of all 12 different boats. I was amazed. 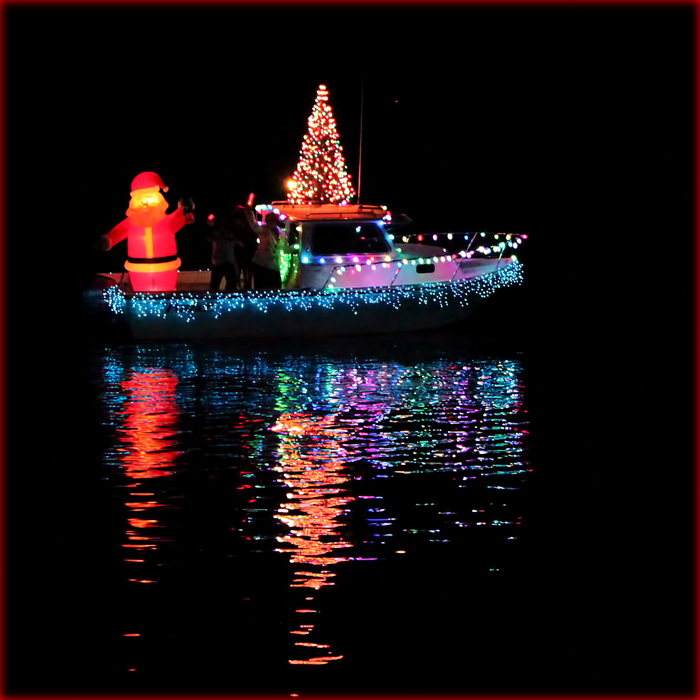 In the photographs below, when float “titles” were not readily available, I made do with my own, because WordPress blog pictures require a title. My apologies in advance if I’ve stepped on anyone’s toes. 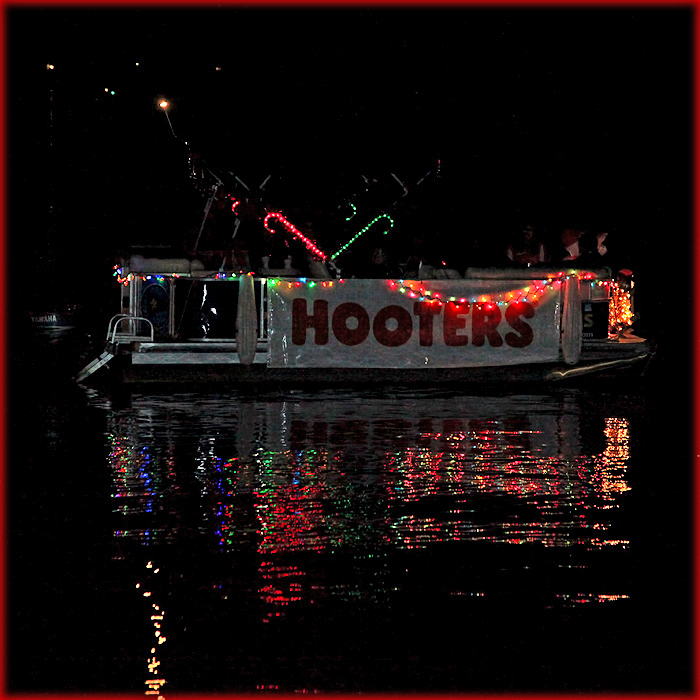 I got a kick out of Boat # 1’s “A Christmas Story”. I couldn’t help grinning at the thought of that coveted Red Rider BB gun and a little kid bundled up in so many winter clothes he couldn’t get up after falling down the steps. If you haven’t seen the movie, “A Christmas Story“, you’ve missed a true Christmas classic. 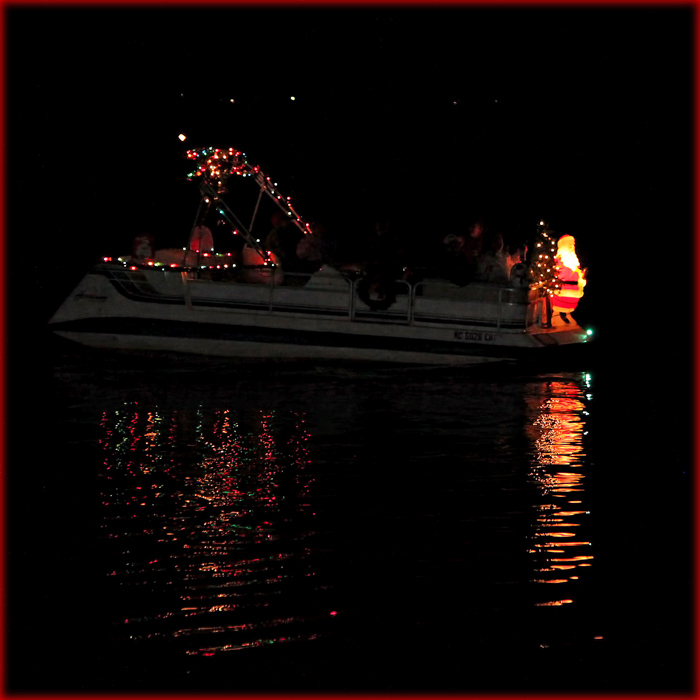 Contact Morningstar Marinas at the Eaton Ferry Bridge, or the Lake Gaston Chamber of Commerce if you are interested in participating in next year’s 2011 Lake Gaston Boat Parade. 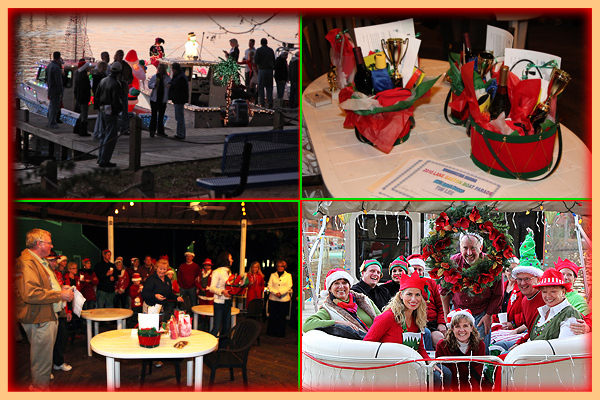 Community participation is what the Lake Gaston Christmas Parade is all about. Come be a part of it. Just found your site and love your work. The pictures are fantastic and review of the parade is great! Thanks for doing a GREAT job! Thanks back at you. Just be there again next year, okay? on 12/22/2010 at 5:00 PM | Reply Wanda H.
Terrific show, Tim! Thanks for sharing. 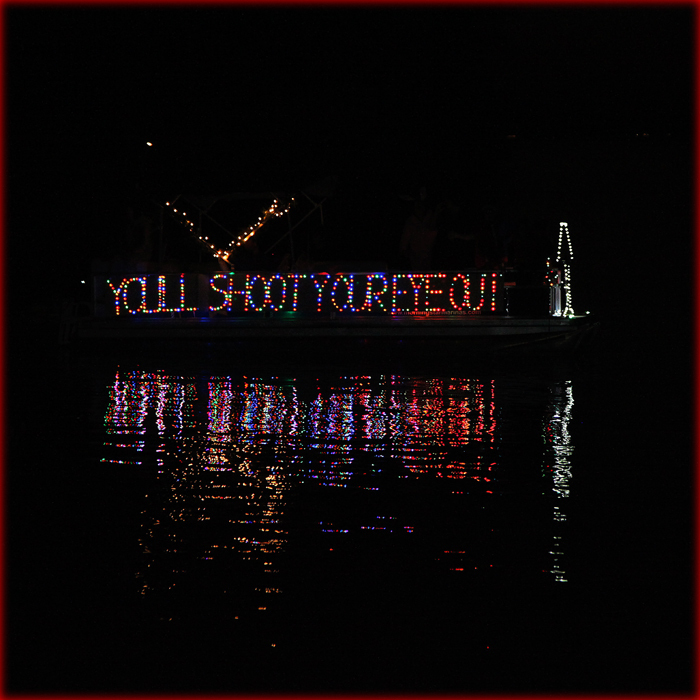 Not sure how someone was able to shoot great shots of each boat, have enough brain left to judge each boat, AND be able to move the next morning…..
I’ve done shots of our town’s Fall Festival Parade, but have NEVER had to then judge (in person) the entries….. and I could NEVER move the next day! I’m amazed. Merry Christmas, Tim. 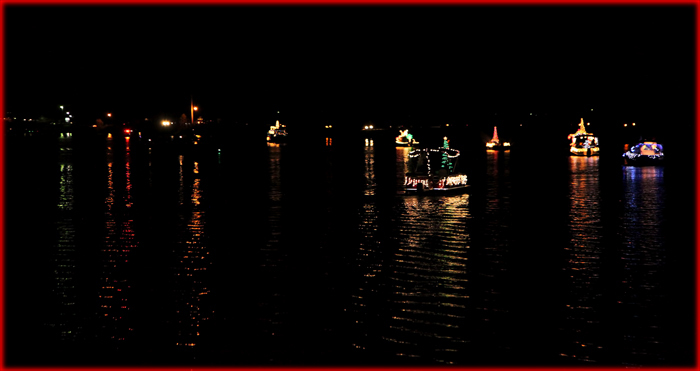 If the boats hadn’t been filing past IN ORDER, keeping track of them would have been impossible. Fantastic pictures, Tim, thank you so much for sharing them with us!! 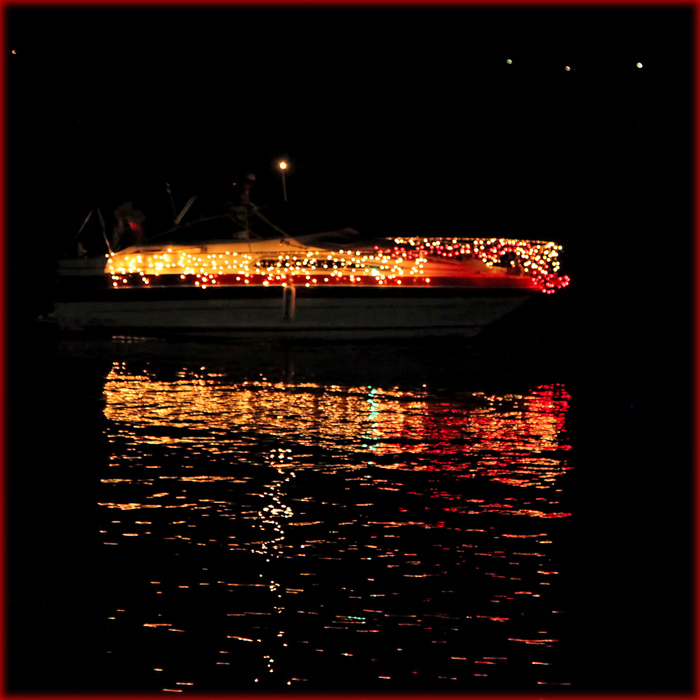 WONDERFUL, WONDERFUL JOB WITH YOUR PHOTOS AND WITH YOUR RENDITION OF THE BOAT PARADE! 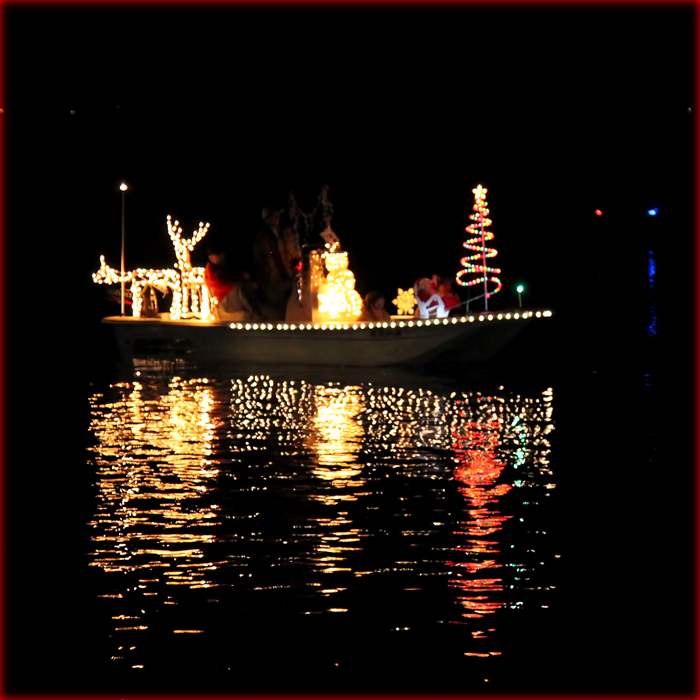 I NOMINATE YOU TO COVER THE 2011 CHRISTMAS BOAT PARADE!